I stopped through Waynesboro a while back and this was the first interesting thing I saw when entering into town. If you follow my blog, you know that I love to photograph abandoned places. Although, I hate that a place has to be abandoned, there is always some kind of strange beauty about them, I guess because they are often so unique. Old motels are way cool becaue they bring about even more uniqueness, such as their vintage signs. This one was no exception, plus the fishing is free! Here is another example of a great abandoned motel sign from Jackson. 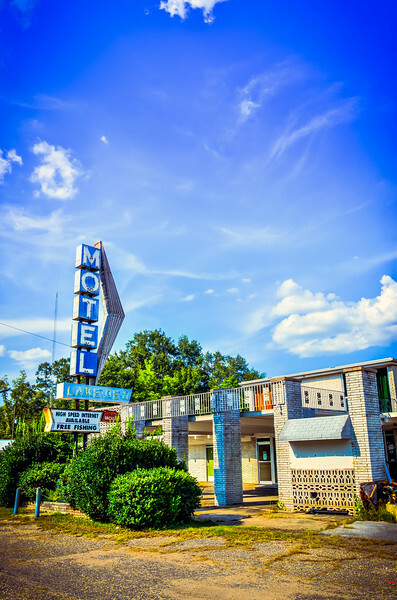 Swung through Waynesboro yesterday on my way back from our little beach vacation and this motel caught my eye. 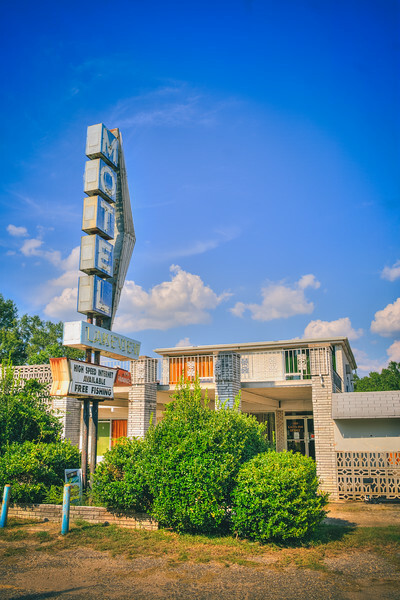 I love these old signs and though I'm sad to see the Motel abandoned, I am glad to see these vintage signs around. They are fun to photograph. And, by the way, if you want to get into the hotel business, you can own this Motel for a cool $150,000.